The former vice-president while speaking at the presidential campaign of the party in Jalingo, Taraba State, said that security agencies have no business with the country’s electoral process. 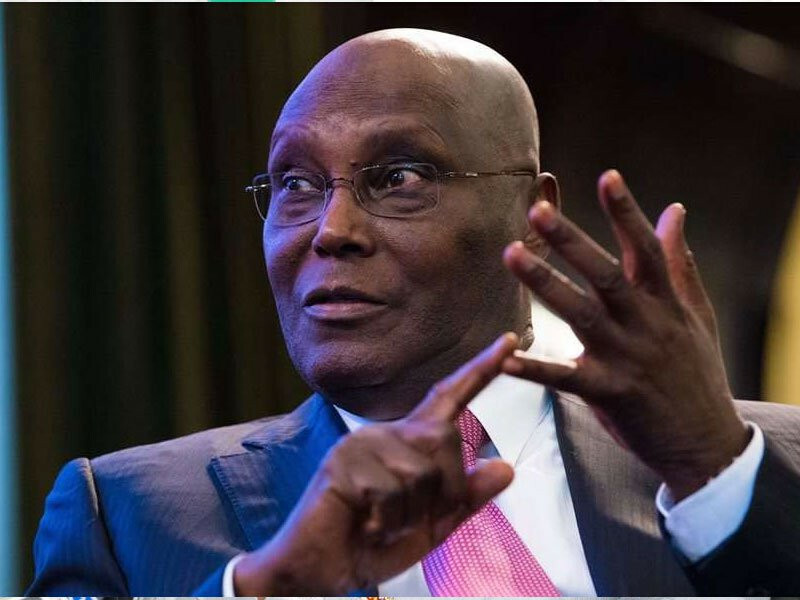 Atiku stated: “Our security services you have no business to interfere with our political process, that is not your work. Your work is to make sure that there is peace, law and order. It is not your business, it is not your business to interfere in our political process, this is not your constitutional responsibility at all. “Your constitutional responsibility is to make sure that we are all safe. Any government that draws the security agencies, the police, the army, the civil defence, that government is doing more harm to your career, is doing more harm to your patriotism and more harm to yourself. The former vice-president stressed that having recognised security as the number one problem of the state, he assured the people that he would address the issue of insecurity in Taraba in North-east and in the whole Nigeria. Atiku also promised to complete the Mambilla hydro electric power, while also promising that all the federal roads would be taken care of. Also, the National Chairman of the PDP, Prince Uche Secondus, said that the party would continue to insist that the Independent National Electoral Commission (INEC) conduct free, fair, credible and transparent election. Secondus therefore warned the security agencies against taking sides in order not to create crisis in the country. “As for our security agencies, we have seen police being reformed; we have seen the DSS being reformed. There are good people there and by the special grace of God, they will not defend an individual. But they will defend the constitution of our country. They are supposed to protect lives and properties. We believe that if they take sides, that will cause crisis. And so, they must be neutral. We also advise our well-trained and esteemed Generals in the military that they are too quick. Recently, they are posting people here and there. This is a country they have signed to protect, not to protect an individual. A tree does not make a forest and nobody is God to Nigeria,” Secondus noted. The national chairman called on the federal government to tackle the issue of Boko Haram in Borno State, rather than using military to terrorise regions it does not like. According to him, “We shouted aloud that foreigners were entering our country. They have no response to it because we have evidence. And in today’s paper, they said opposition are bringing foreigners. I want to challenge Lai Mohammed to bring your evidence or bury your head in shame. As usual, you are a liar. You raise issues without evidence. We have evidence, two governors from Niger Republic attended APC rally in Kano. On his part, Taraba State Governor Darius Ishaku assured the people that the state would be delivered to PDP in all the elections.